Upcoming redevelopment of five acres in South Boston’s Andrew Square into a mixed-use development spanning six blocks. Eight buildings will be constructed containing 656 residences including both apartments and condominiums, 98,600 square feet of retail space and parking for 560 cars. Residences will include studios, one-bedrooms, two-bedrooms, and three bedrooms. 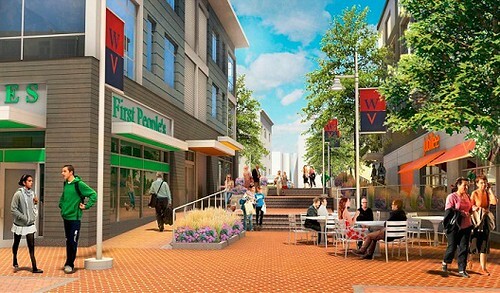 110 residential units at Washington Village will be designated affordable.